A new trend is sweeping the county for the perfect Feature Wall. 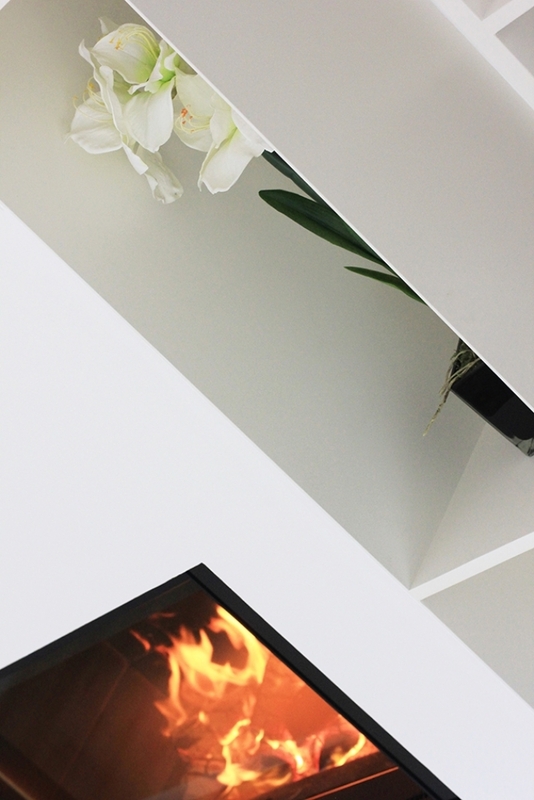 Having begun simply by trying to neatly incorporate venting for the fireplaces, building space efficient log storage into fireplace designs and then of course there was the matter of the TV, the Feature Wall has developed into the must have of modern homes in Cornwall. The Feature Wall comprises of many different factors, they can be symmetrical or not, have open or closed units, be full wall height or only cover the lower part of the wall, this will all depend on what look the client wants to achieve. 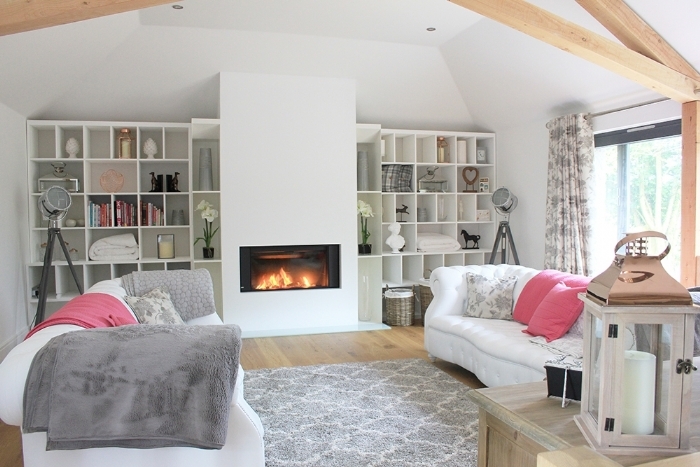 Shelf and unit colours can be made to exactly match the walls or used to create a contrast. 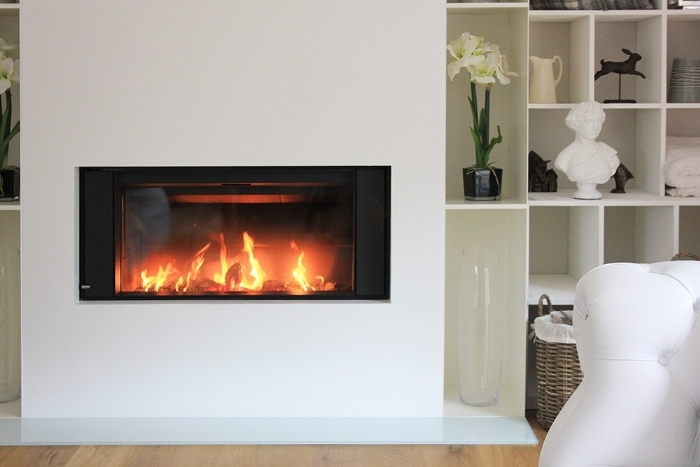 Suddenly that large flat wall at the end of your room not only has a beautiful fireplace, but has become a feature in it's own right. Kernow Fires always have one eye one how to make the customer experience better, how to give a little more. Now, thanks to our ability to create just about anything from shelving to staircases made to the highest standard of craftsmanship with our sister company Kernow Metals, the design possibilities are endless. Pop into our showroom in Wadebridge or give us a call if you have a project you would like to discuss with the team. Creating your own Feature Wall. Firstly working closely with Simon he will listen, discuss and suggest additions and design features that will suit your home and your way of living to create a design for your Feature Wall. 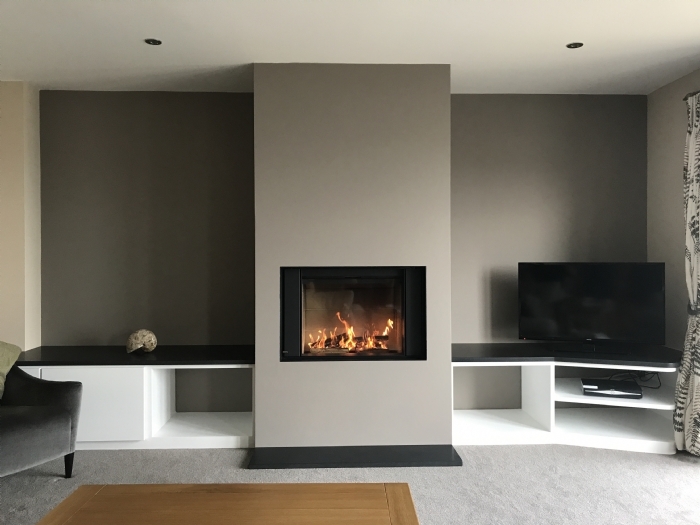 This bespoke Feature Wall Design will take into consideration all the requirements of your new fire including fire regulations, venting and will enable your new fireplace look like it's always been there. 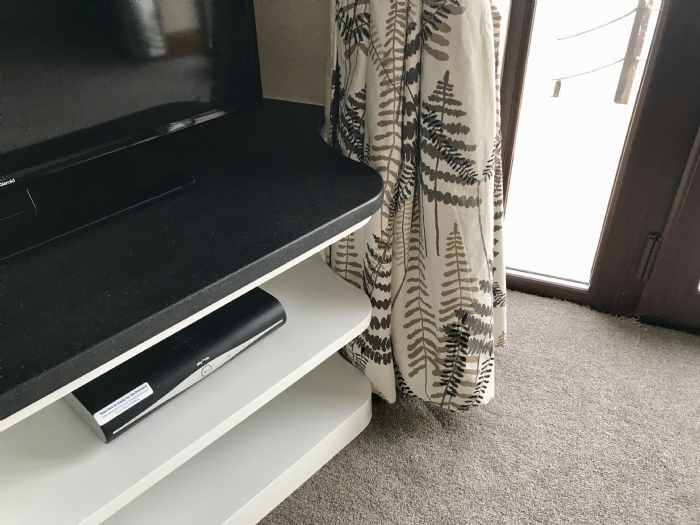 Our teams have a wide range of skills, including a painter and decorator who will come and add all the finishing touches right at the end of the installation.